A group of UK business chiefs today called for a referendum on whether to leave the European Union on the terms that Prime Minister Theresa May hopes to negotiate or to stay in the world's biggest trading bloc. Less than five months before Britain is due to leave the EU on March 29, a deal is 95% done but officials have repeatedly cautioned they are still haggling over the fate of the Northern Ireland border. Business leaders including Michael Rake, chairman of Worldpay, Justin King, former CEO of Sainsbury's, and Karan Bilimoria, the founder of Cobra Beer, called for a vote. "A bad Brexit or a disastrous Brexit - take your choice," said King, who called for a referendum on May's final deal. "This time around it is a choice between the best Brexit the prime minister has been able to negotiate and a different decision," King said. "The democratic deficit is that we haven't actually had a vote what this is about." In the June 2016 referendum, 17.4 million voters, or 51.9%, backed leaving the EU while 16.1 million, or 48.1%, backed staying. May has repeatedly said that there will be no second referendum. People's Vote campaigners think the most realistic route to another referendum is that parliament votes down May's deal and the opposition Labour Party fails to trigger a general election. According to that scenario, parliament would call another referendum and Britain's EU exit process would have to be placed on hold. Supporters of Brexit say that thwarting it would thrust the UK into a major constitutional crisis and further undermine confidence in the political elite. "This is unique irony," Richard Tice, a Brexit campaigner who is co-chairman of campaign group "Leave Means Leave," said of the call for a second referendum. "Business leaders whingeing about uncertainty are same people calling for a second vote which would take a year, make us look ridiculous as a nation and thus add hugely to even more global uncertainty," Tice said. 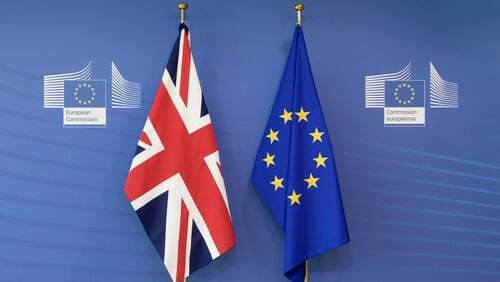 According to a survey of 20,000 voters this week, Britain would now vote to stay in the European Union as more young people and those who did not bother to vote in the shock 2016 referendum would now vote against Brexit.